If you own a garbage hauling company, you already know how difficult it is to find good insurance. Well, we’ve made the process a little easier. 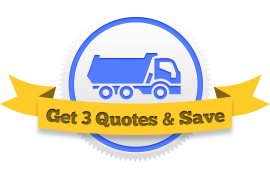 Fill out one form, we connect you with three garbage haulers insurance agents. They compete for your business, which allows you to select the insurance company that best fits your needs. Very few insurance companies are familiar with the garbage hauling industry. Oftentimes you will talk to a traditional automobile insurance representative for several minutes before you realize he can’t help you. He doesn’t know the industry. When you’re searching for an insurance company for your trash hauling business, the most important factor you need to consider is their reliability. If one of your garbage trucks is in an accident, you want to be certain that your insurance company has your back. That’s why, when an agent recommends a company, it’s crucial to check that prospective company’s rating on A.M. Best or Moody’s. Work with your agent to get the most reliable company possible. Price is obviously one of the biggest things you’ll consider when comparing trash hauler insurance companies, but it shouldn’t be the only thing you’re considering. Don’t look for the cheapest price, look for the fairest price. There are many different types of insurance coverages out there that garbage haulers can opt to purchase. Ask your representative to go over which coverages you need and which ones are extraneous. To learn more about the coverages typical to garbage haulers, check out our coverage guide. Your insurance agent should be available when you need them. Ask about their hours of operation and how quickly they can revise a policy if yours needs changing. It’s easy to get started comparing garbage hauler insurance companies. Visit this page, fill out one form, and we take care of the rest!